It’s a Sunday night and HOB Anaheim is packed with people standing shoulder to shoulder waiting in the dark for The Limousines to take the stage, but curiously the lights do not go up, and when they do, they immediately launch into “Dancing At Her Funeral.” Now, understand that this song is a tragic story, as suggested by the title. It’s well-told and as a Limos fan, I got it. 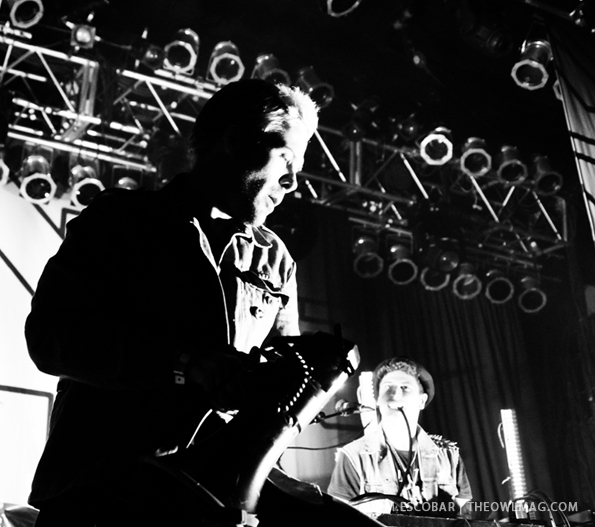 For me, the performance of the song in the dark was a nice artistic touch. However, despite the dancy beat, the Anaheim crowd was so serious; you could mistake them for people at a funeral and not a Limousines show. 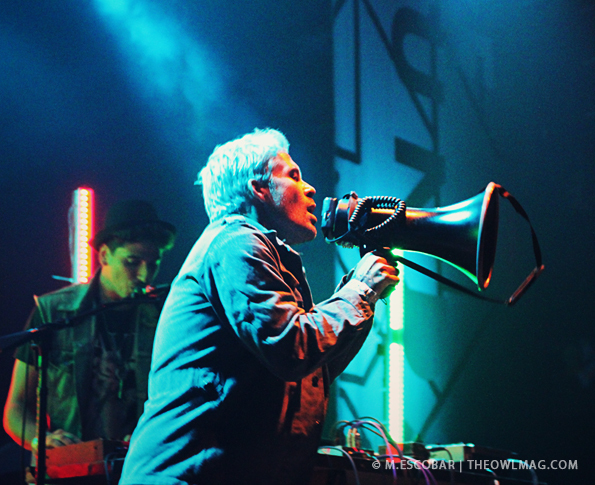 Later in the song, even the strobes and megaphone were unable to shake this crowd awake. 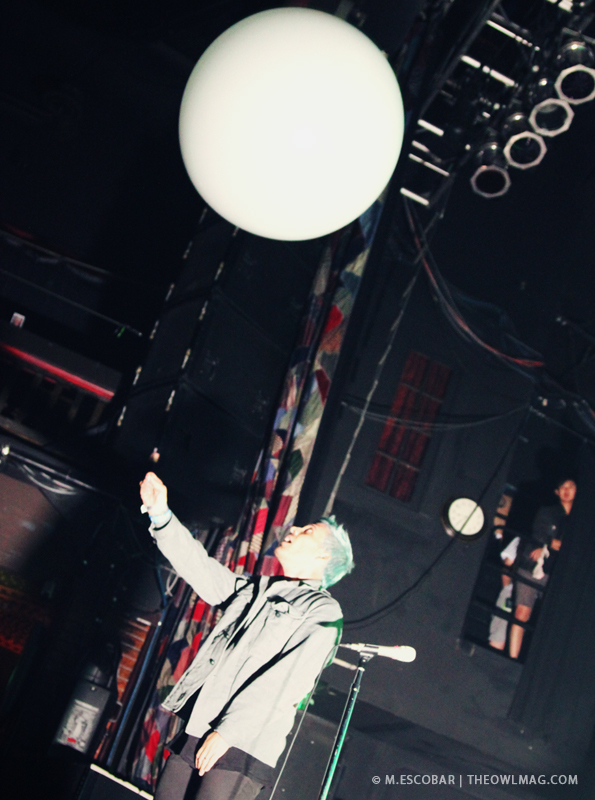 But clever frontman Eric Victorino tried to fix that when he presented a giant, white balloon to the audience. It was batted around during most of the second song until Victorino popped it with a pin toward the end. Through the next few songs, beat master Giovanni Giusti and Victorino displayed a spirit that implored the crowd to find their dancing shoes. In the middle of their set, Victorino commented that he guessed most of the crowd had never seen or heard of them. When the crowd responded with a hearty cheer (much to my relief as it confirmed that the crowd wasn’t as close to flat-lining as I had thought), he said that he could admit when he was wrong. The highlight of the set was “Wildfire.” This song has lyrics so hot, I’m stunned the walls of the HOB didn’t ignite during that song. The Paul Simon cover “You Can Call Me Al” was great with just enough Limo flavor to make it current, but not take away from what makes it classic. The Limos get an A for effort in one final attempt to wake people up with their fan favorite “Internet Killed The Video Star” and calling on the crowd to “get up and dance.” Sadly, it was no use. Good try though, Eric. 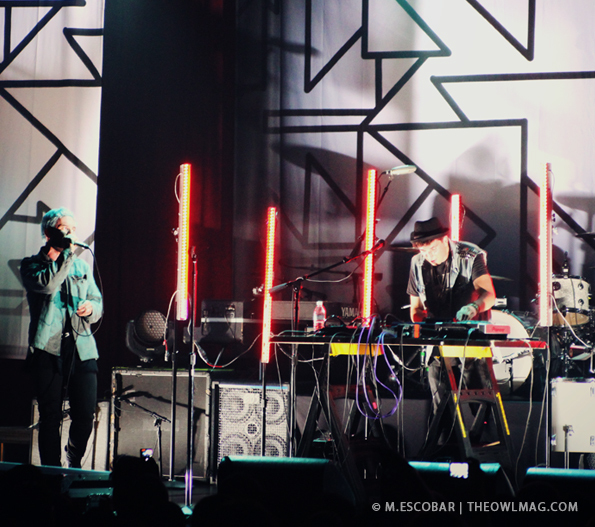 The Limousines put on an admirable show. Giusti’s performance was alive and animated as there wasn’t a moment that I looked at him when he wasn’t dancing or vivaciously hitting a percussion instrument. Victorino connected with the handful of people who weren’t imitating “The Walking Dead.” For someone who is used to playing with a whole band around him, he made good use of the stage space he had. 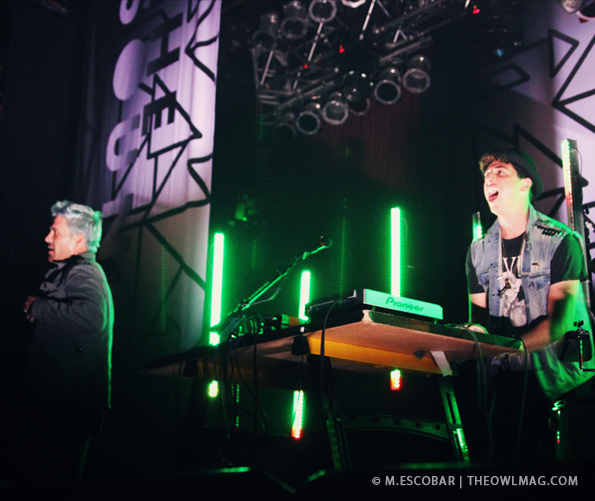 At the end of the day, The Limousines didn’t let the lackluster crowd stop them from being who they are and bringing their dance party to the HOB table.